Moneycation: What is a stock option straddle? What is a stock option straddle? Depending on which of the above three options strategies is or are implemented the component parts of the stock options straddle can differ. This is because each options straddle makes use of different methods of betting with and against upward and downward price movements. For example, the covered straddle involves selling or 'writing' both call and put options whereas the long straddle involves buying the call and put options. Below are the elements used in stock options straddles. The call option is used in all three stock straddles, however the call option may either be bought, sold and/or covered meaning the underlying stock is also owned outright when covered. The call stock option is a bet that a stock's share price will move upward in price, however selling a call option has the reverse affect. A put option is essentially the opposite of the call option and is a bet share prices will drop. As with the call option, selling a put stock option is similar to buying a call in the sense it will be a benefit if the opposite price movement occurs. The meaning of 'long' in straddles is different from the meaning of long in regular stock purchases. In long stock option straddles, the long refers to the straddle itself and not the options within the straddle. In other words, normally going long means one is expecting a rise in price, however in a long straddle, the hope is that either the call option or put option will realize their potential be it up or down in price. Thus, the long is the general premise the straddle will be profitable. 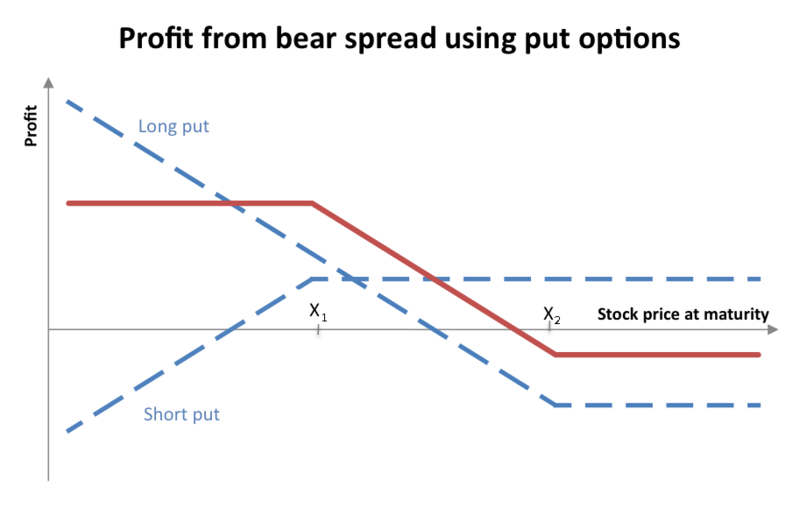 Written options are sold by the options trader and investor instead of purchased, When options are written a premium is paid to the seller, however if share prices move in the unintended price direction, the writer of the option(s) becomes obligated to purchase and sell the underlying stock at the prearranged price. Purchased stock options can be bought from other options traders. In such case a fee is paid to the writer of both call and put options in the case of a long stock options straddle. In the case of a covered options straddle, the buyer also purchases an equivalent amount of shares as defined by the call option. To illustrate the above, the following example explains how a straddle works. Bert first decides what straddle technique he wants to use and chooses a covered stock option straddle. Bert chooses this straddle because he is more convinced stock prices will move up than down, but also wants to hedge or protect against downside risk. Barney sells both a call and a put option for ABC Corporation to Bert at a price of .10 cents per option share for the put and .12 cents for the call. This strategy more than doubles Bert stock options strategy cost because two options are bought instead of one. The total cost of the option is $220.00 not including the purchase price of the shares should he decide to exercise one or other of the options. Since this is a covered stock option straddle, Bert also purchased 100 shares of ABC corporation at a price of $20.00 per share, for a total of $20,000.00. Added to the options fee the total becomes $20.230.00 where $20,000.00 is invested capital that Bert owns, $10 is the purchase commission and $220.00 is the stock option fee. After three weeks, the price of ABC company has moved upward .25 cents to $20.25 and Bert's estimation the price of ABC company would rise has not been realized with one week left to exercise his option. Since Bernie owns 100 shares of ABC, he has made $25.00 in unrealized capital appreciation, not nearly enough to cover the cost of the covered options straddle. Bert lets the covered options straddle expire worthless and retains his 100 shares of ABC for an approximate loss of $205.00. The 100 shares would have to rise $2.05 or 10.12 percent in price for Bert to break even.